Elmer the Elephant - Soft Toy. Everyone loves the little patchwork elephant from David McKee's timeless storyboo. 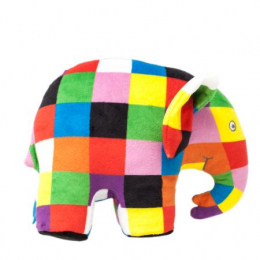 This colourful Elmer soft toy standing 20cm tall with his distinctive long trunk and big ears makes the perfect story time companion. The super soft little elephant features an array of bright and bold colours making it a fun way for little ones to learn their colours!